LOVE love LOVE love LOVE Love the noise, the sound effects, the chatter, the book love! 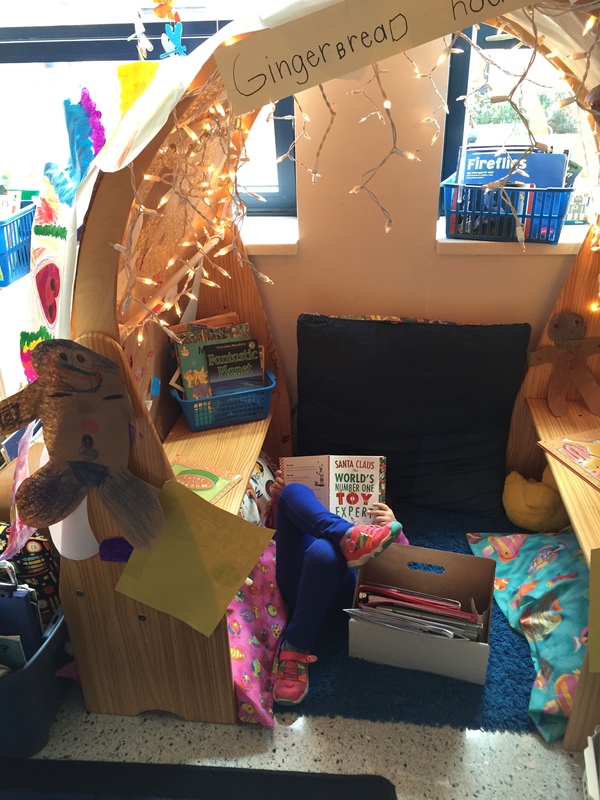 Thanks Katie for giving us a glimpse inside your kindergarten classroom. It seems like that misconception is still floating around out there – that if kids can’t formally read yet, then independent reading time is not needed. I am glad that you give your students the chance to develop concepts of print through independent reading time. This important practice has research to back up its effectiveness AND it is a lot of fun (as we can tell by your videos :-). How do you ensure they read the just right books first? I tell my students the same thing and while some do, many don’t. They read one just right book and then go to their look books. I remind them every day. We have an anchor chart that we made with photographs to remind them every day. The reality of it is, I’m sure there are some that only read one or two and then go to look books. I keep an eye out as I’m conferencing with kids and moving through the room and will ask those kids if they’ve read all of their just right books and if not, remind them to do that first. I tell them that it’s reading practice that will make them stronger and stronger – just like soccer or karate practice. For the love of reading! I love the value your young erasers place on their books and their reading!